1st PRIZE HAUKELI (100km) !! We had a good start at the young bird season 2017 with our 1st prize winner from Haukelihall (100km). Very special and nice, that the first place was shared with our good pigeon friend Martin Sævareid. MOTHER is org. 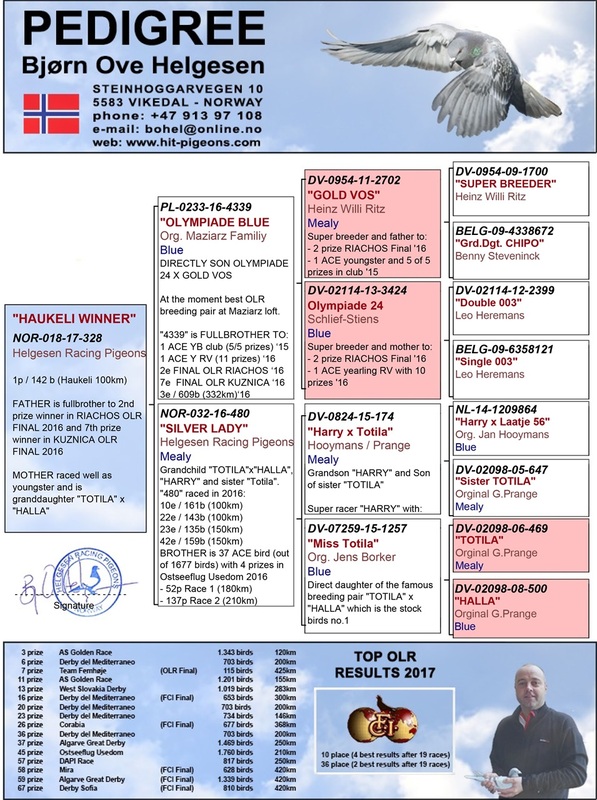 Helgesen Racing Pigeons and a Granddaughter of «TOTILA» x «HALLA». This nice hen raced well as young bird in Group 14 of NBF in 2016.